Controlling your business is all about using information effectively. Very often, though, you need to collect and share information with your business partners in order to see the full picture. Today, the way information is shared is by using the Internet. Corunna Systems Ltd, with more than 6 years experience in developing Internet Information Systems, is your partner of choice in achieving this goal. With customers ranging from amongst the largest in the land to the smallest, entrepreneurial 'bands of brothers', from large engineering companies to small freight forwarders, we understand your needs and can fit in with the way you work. Call us on +44 (0) 844 33 086 13 to discuss how we can help your company. 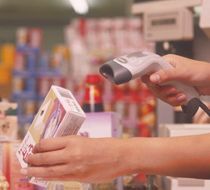 Very often barcode scanning plays an important role in capturing information and Corunna Systems Ltd, as a Symbol Authorised Reseller, has built up a wealth of experience in developing such systems. and many others all lend themselves to the use of barcodes. So, if you are interested in how barcode solutions can benefit your company, give Corunna Systems Ltd a call on +44 (0) 844 33 086 13.